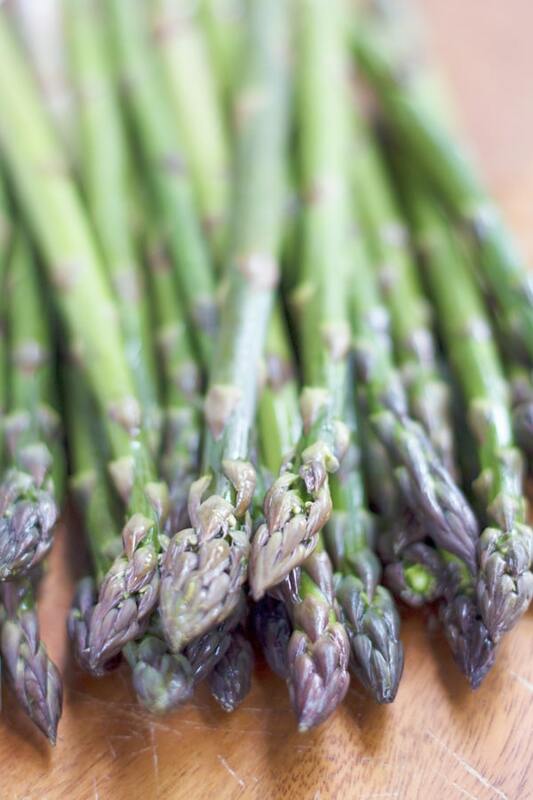 What’s the best way to eat asparagus? Roasted of course! Well, that’s my opinion. 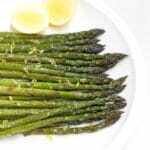 This is a simple and easy way of cooking asparagus that brings out its flavour and gives it an almost nutty taste. This is the only way my darling (but a little fussy) husband will eat asparagus. If you haven’t tried it, give it a go tonight. Perfect paired with some grilled or BBQ meat or my Miso Glazed Salmon. Sorry friends, its another short post today – its all about the food I say! Hope you’re having a great week. Wash the asparagus well then break off the ends (see Note 1). 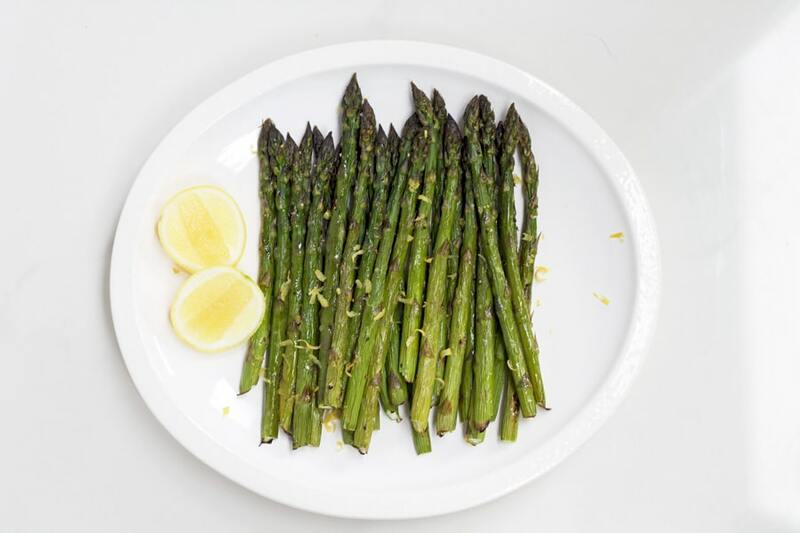 Place asparagus on the baking tray and drizzle with olive oil and season with salt and pepper. Toss to coat then spread the asparagus in a single layer on the baking tray. 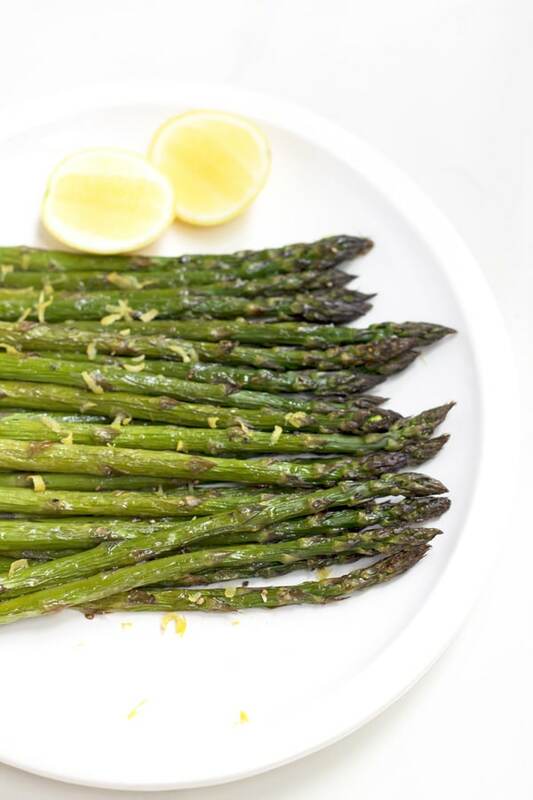 Roast for approximately 10-20 min (depending on the thickness of your asparagus spears) or until the asparagus is just lightly browned, and tender but still crisp. Remove from oven, sprinkle with lemon zest and juice and serve. Note 1: Bend the asparagus spear approximately 1 inch from the base and it should snap off the woody end leaving behind the tender part of the spear.